Eighteen nursery representatives are on a journey to gain a deeper understanding of the mind and develop skills to better manage their teams, as part of the Green Industry Growing Leaders Program. 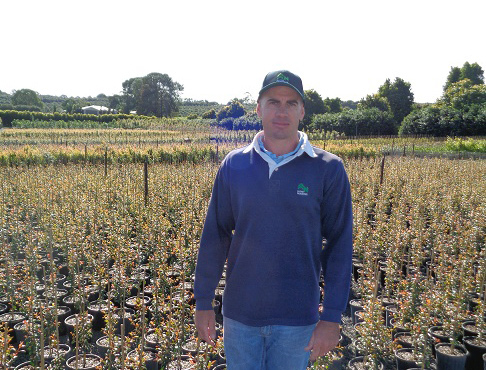 Participant Andrew CreightonParticipant Andrew Creighton, Tree Supervisor for Alpine Nurseries NSW says he has seen immediate benefits within the workplace, with the program bringing a new level of understanding to his role as manager. 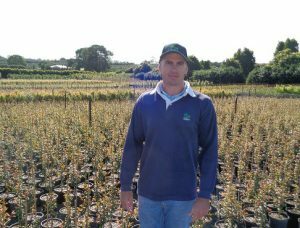 Mr Creighton has been working at Alpine Nurseries for the past nine years and manages a team of eight people to provide 45litre to 400litres trees and shrubs to the wholesale and commercial market. Having been a manager for some time, Mr Creighton viewed the program as a unique opportunity to strengthen and develop new skills both personally and professionally. The first face-to-face meeting was held over a two-day period in Sydney in May. It went into detail about how the mind works, impacts behaviour and influences team culture. There was also a strong focus on managerial skills, such as delegation methods and skills to effectively relay information to staff. Since the workshop, participants have been receiving tips and tricks targeted to their businesses through regular coaching calls from the program leaders, and a second face-to-face session will be held in August in Brisbane. Mr Creighton says a key learning so far is how to pause in conversation, relax and convey your message in an effective manner. He credits the course with providing him with a lot of new skills, such as how to react under pressure, understanding mannerisms and human reactions and how to stay calm and think through processes in difficult situations. He has also created a staff development program based on the skills and insight he has learnt from the course so far, and will present it to other participants in Brisbane. The Green Industry Growing Leaders Program is being run by The Right Mind, and has been funded by Horticulture Innovation Australia using R&D nursery and turf levies and funds from the Australian Government. The Right Mind is currently taking enquiries for the 2018 Green Industry Growing Leaders Program.